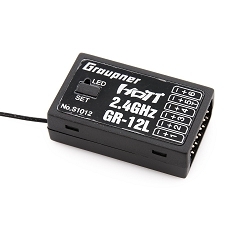 Graupner/SJ GR-24L, 12 Channel 2.4GHz HoTT Receiver is designed with Graupner/SJ's unique telemetry technology that supports Bi-directional data transmission to give user the real-time information on RPM, Voltage, Current, temperature, and warning. The use of up to 75 channels ensures extreme operating reliability and immunity to external interference. The sizes and weights have been reduced; and two diversity antennas support excellent input and output sensitivity. 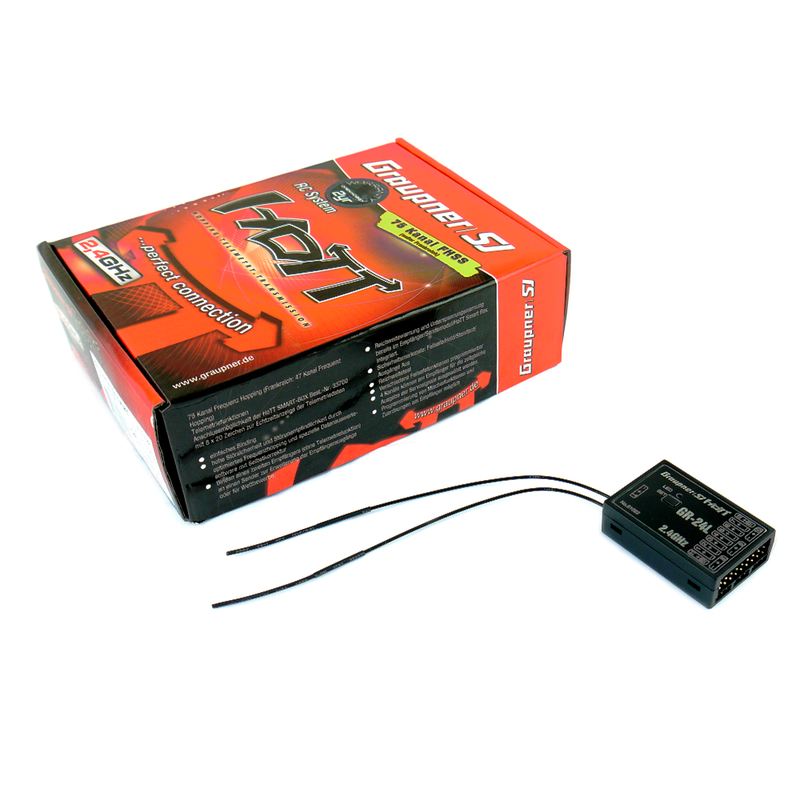 By using receiver’s telemetry function, telemetry data such as input and output signal strength, receiver temperature, voltage is sent to Graupner/SJ transmitter so that it ensures excellent response time. Thanks to the optimized size and quality, this receiver can be easily equipped with various models. 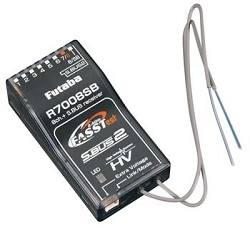 The further increased range and receiver input sensitivity by two diversity antennas. SUMO, SUMD Signal output for the convenient use of gyro and control board.